Dieser Beitrag wurde unter Innenpolitik, Israel/Palästina abgelegt am Oktober 27, 2016 von Ludwig Watzal. Dass es im Staatsender der „Mutti“ und ihres Regierungssprechers noch so etwas wie eine abweichende Meinung gibt, grenzt an ein Wunder. In kabarettistischer Art und Weise werden nicht nur die Lügen und Manipulationen des Großen Bruders USA, sondern auch der westlichen Journaille in Sachen Putin und Naher Osten entzaubert. Die Bevölkerung sollte sich nicht weiter von den Staats- und Konzernmedien belügen lassen und diese durch eine mögliche Abbestellung des Abos oder Abwanderung in alternative Medien sanktionieren, damit die politische und mediale Klasse nur noch selbstreferentiell arbeiten und abgeschottet leben kann wie weiland in der DDR. Sehenswert und viel Spaß! Dieser Beitrag wurde unter Innenpolitik abgelegt am Oktober 23, 2016 von Ludwig Watzal. 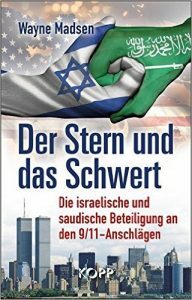 Ein Buch zu den Hintergründen von 9/11, das aus dem Englischen ins Deutsche übersetzt wird, muss eine besondere Botschaft enthalten. Der Leser hofft, dass endlich die offizielle Story, die von der Bush-Administration und dem US-Kongress bereits am nächsten Tag verbreitet worden ist und die die ganze Welt als „Wahrheit“ akzeptiert hat und dafür in einen seit 15 Jahren andauernden Krieg gegen den Islam gezogen ist, endlich widerlegt werden würde, und dies von einem US-Amerikaner: Weit gefehlt. Dieser Beitrag wurde unter US-Aussenpolitik abgelegt am Oktober 22, 2016 von Ludwig Watzal. The candidate of the military-industrial-financial-intelligence-congressional-media complex! Auch die dritte Debatte um das Amt des US-Präsidenten zwischen Donald Trump und Hillary Clinton wurde der selbsterklärten „Shining City on the Hill“, den USA, in keiner Weise gerecht. Sie hat gezeigt, dass ein Reality-TV–Star chancenlos ist gegen eine mit allen Wassern gewaschene und völlig ausgepuffte Politikerin wie Hillary Clinton. Dieser Beitrag wurde unter US-Aussenpolitik abgelegt am Oktober 20, 2016 von Ludwig Watzal. The racist legacy of both countries is unbreakable. Photo: Courtesy of MWC News. Hardly any knowledgeable person doubts that Zionist ideology is the purest form of racism. Zionism is Jewish disguised racism as a raison d’etat. 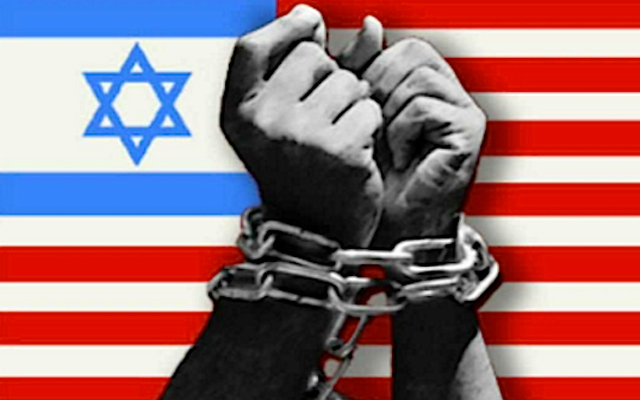 Israel comes right after the U. S., as far as racism is concerned. That is why the U. S. donates to this racist regime $ 3.8 bn per year in order to keep this occupation regime going. Should anybody doubt the racism of the Israeli leadership, read the following article and watch the pictures. Dieser Beitrag wurde unter Israel/Palästina, US-Aussenpolitik abgelegt am Oktober 19, 2016 von Ludwig Watzal. 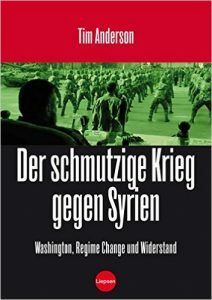 Washington, Regime Change und Widerstand. Regierungspropaganda und die Desinformation von Nichtregierungsorganisationen (NGOs) haben die Medienberichterstattung über den Syrienkonflikt von Beginn an stark beeinflusst. „Der schmutzige Krieg gegen Syrien“ wurde von einer Fülle von Desinformation begleitet, wie sie die Welt bisher noch nie gesehen hat. Diese Faktoren haben Tim Anderson motiviert, dieses Buch zu schreiben. Dieser Beitrag wurde unter US-Aussenpolitik abgelegt am Oktober 6, 2016 von Ludwig Watzal. Israeli „Toys“ for the Kids of Gaza. The Israel Terrorist Forces (ITF) raided the ship Zaytouna-Olivia that carried 13 women among them U. S. Army Col. Ann Wright, Nobel Peace Prize laureate Mairead Maguire of Northern Ireland, lawmakers, and an Olympic athlete. Long before reaching its destination, the boat was hijacked by a female operated Israeli navy vessel. This time, the ITF showed restraint contrary to the last hijacking operation in 2010 in which 10 people were killed by the Israeli military. The boot set out from Barcelona in order to challenge Israel’s blockade of Gaza and show solidarity with the Palestinian people. The blockade of the Gaza-Ghetto has been going on for almost 10 years. 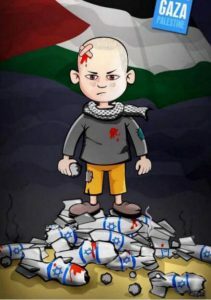 In Gaza, the attempt was applauded although it was unsuccessful. During the hijacking operation, the ITF bombarded targets in the Gaza Strip in retaliation for rocket fire that did not hurt anybody. Since the June 1967 war, the Israelis have been occupying the Gaza Strip contrary to international law. Although Israel has officially left the Strip in 2005 and took the illegal colonizers with it, the Strip is still considered occupied by the United Nations. The Israeli government has turned the Ghetto-like Strip into the world’s largest open-air prison. Without Israeli approval, no one can get in or out of Gaza. On a regular basis, the ITF commit massacres such as in 2008/09 and 2014 in which thousands of defenseless people were killed ,while the international community kept silent. It’s time the illegal Israel occupation of Gaza, the West Bank, East Jerusalem and the Golan Heights is terminated by the international community. Dieser Beitrag wurde unter Israel/Palästina abgelegt am Oktober 6, 2016 von Ludwig Watzal. 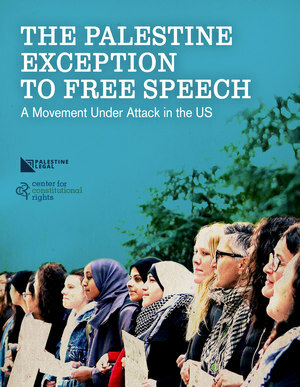 The Palestine Exception to Free Speech in the U. S.
Free Speech of Israel Critics is Criminalized in the U. S.
The Palestine human rights movement and its advocates in the U. S. are under a growing pressure because of their criticism of Israel’s oppressive and deadly policy against the People of Palestine. The BDS campaign was the last straw that led to a coalition, which uses all available means to suppress freedom of speech. Since the BDS movement gained momentum, a network of organizations, public relations firms, think tanks, billionaires such as Sheldon Adelson and Haim Saban, and the all-powerful Zionist Lobby, coordinated by Israel’s embassy in the U. S. – have intensified their efforts to stifle criticism of Israeli government policies. Dieser Beitrag wurde unter Israel/Palästina, US-Aussenpolitik abgelegt am Oktober 4, 2016 von Ludwig Watzal. The FBI in the Tank for the Clintons? Everybody knows that the US justice system is rotten to the bone. The poor are being prosecuted and the rich political gangsters are going scot-free. The rich and the powerful get away with anything they want to. This seems the American way of partiality. FBI Director James Comey holds Hillary Clinton to a different standard because she is powerful. 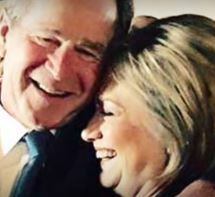 The Clintons exert their influence in every corner of the Washington establishment. Before Comey made his first ridiculous statement that no judge would take the Clinton case, Bill Clinton met „accidentally“ with Attorney General Loretta Lynch at the Airport in Phoenix, Arizona, to discuss family matters! Shortly after, the decision was announced, not to accuse „Killery“ Clinton. It shows that the whole Clinton affair stinks to high heaven and the Washington political establishment is up to their knees in mud. Comey admitted that if FBI agents would handle classified information the way Clinton did, they would face harsh consequences. 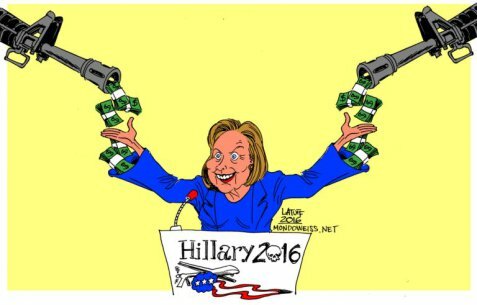 Because Hillary Clinton belongs to the über-rich, she is held by the FBI to different legal standards. The Clinton Email affair reveals to everybody the double standard of the US justice system. Despite strong evidence against Clinton, the FBI did not even recommend an indictment to the justice department. To watch the video one can see that the FBI serves the oligarchs and goes after the „peasants“. This is just another example of the hypocritical self-ascription of „A Shining City upon The Hill“. It seems as if the criminal big shots are too big for US jails but there’s lots of room at Guantanamo Bay. Dieser Beitrag wurde unter US-Aussenpolitik abgelegt am Oktober 3, 2016 von Ludwig Watzal. Obama rewarded this criminal behavior of the Zionists with $ 38 billion for the next 10 years. An excellent work by Abby Martin that shows the viciousness of the Zionist colonization. Dieser Beitrag wurde unter Israel/Palästina abgelegt am Oktober 2, 2016 von Ludwig Watzal.